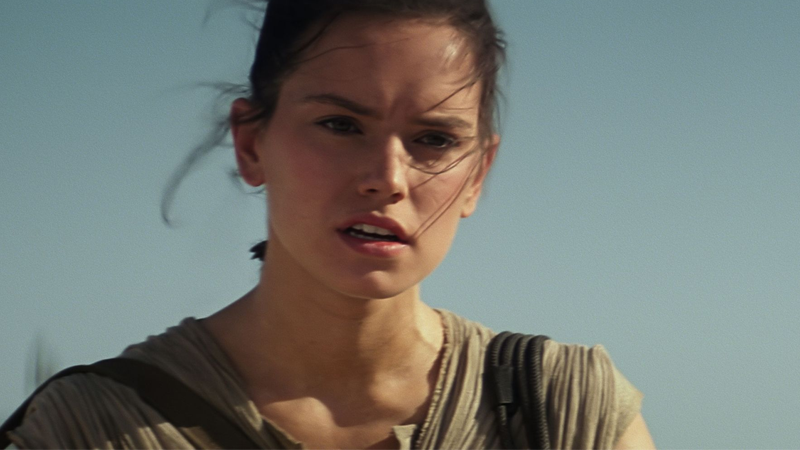 Did... did Daisy Ridley get an extended cut of The Force Awakens no one else has seen yet? I thought a lot was answered [about Rey’s origins] in The Force Awakens. Then after the screening I went for a drink with my agent and everyone, and we were chatting away and I realized that oh, in their minds it’s not answered at all! This is confusing for a whole lot of reasons—because not only did Ridley recently hint that the parental mystery will actually get solved in Episode VIII, J.J. Abrams made a whole (and incredibly confusing) deal about the fact that Rey’s parent’s aren’t in The Force Awakens. So how can the mystery have been dealt with, if that’s the case? The easy implication would be go with Ridley thinks at least one of Rey’s parents is actually in The Force Awakens, which naturally points to perennial favorites Han, Leia, and Luke as potential sires to Star Wars’ latest heroine. But what else could she possibly mean otherwise? Strap yourselves in folks. This crazy train is only going to get crazier in the year between now and Episode VIII, and we’re all riding it into damnation.